If you fancy yourself as a bit of a pinball expert then you'll be interested to hear that Stern Pinball Arcade is headed to the Switch on 1st December. That is at least what the Amazon UK product listing says; there is also a ESRB rating to back this up, too. Ultimate realism - ROMs created from the latest Stern code, physical meshes and high res textures provided by Stern Pinball, Inc. help provide 100% accurate gameplay and graphics of the real Stern pinball machines. Stern Challenge - Master the tables and challenge yourself to hit a target score on each of the tables to earn enough challenge points to complete the Stern Pinball Arcade gauntlet. Who wouldn't want to play pinball on a Ghostbusters table, eh? Let us know if you you plan to pick this up in December with a comment below. I always enjoy a game of pinball. Looks promising. And yes the Ghostbusters table sounds most enticing. Never thought Id say this but I am too old for Pinball. I love pinball, but regarding this game's reviews on steam, I'll avoid it. I've been waiting for Zen Pinball to be announced and I'm surprised it hasn't. My Xbox owning mate said to me yesterday, "it would be perfect for Switch", so it's not just us "Nintendrones" who say that. In the meantime this will certainly scratch that pinball itch. Who knows, maybe it'll be even better than Zens offerings. This pinball is decent from what I remember, just some old timey tables. Most I never seen. I had fun with a few of them though. ZEN Pinball/Pinball FX has been made a little easier and more fun for people who are bad at pinball like myself, haha. Zen Studios is bringing Pinball FX3, they confirmed it not so long ago. That said, the amazon listing is making me guess this will have a retail version, so it will be at least 30€, so it will be 30€ on the eshop, so I'll pass as ever. I'm definitely interested, assuming the price is closer to 30€ than 60€ (meaning, 45€ is my breaking point). Zen Pinball is a “video pinball” experience, but Pinball Arcade (the original version for touchscreen devices and everything else) is a realistic physical pinball simulator. 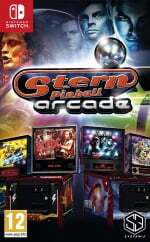 The Pinball Arcade folks are behind Stern Pinball Arcade, which gives me hopes. The Steam reviews are abysmal, mostly relating to resolution and stability issues rather than the basic game itself – hopefully these issues will not appear on Switch. It would be fun if this title implement a nudging technique by actually shaking joy-cons. @LegacySmikey Love Zen Pinball 2 on the Vita and have been looking forward to Pinball FX3 on Switch (will be perfect with the switch standing vertically on a stand) but I'm sorry to hear that the Plants vs Zombies table has gone. That's probably my favourite table too, along with Aliens. The only truly enjoyable way to play pinball is VR unfortunately, try PinballFX2 on VR you will get hooked! "Is Pinball FX3 coming to Nintendo Switch? Stay tuned for announcements. Zen Studios is a huge supporter of Nintendo platforms (we even had the MOST Wii U content on the eShop). Thank you for your patience while we work out details with Nintendo." Glad to see this come along to the Switch. Lately I've been busy watching YouTube videos on pinball tutorials and tournaments to become a good player. I expect one table to be free to play which is Mary Shelly's Frankenstein and the rest in packs. A week later after release I'll get all tables. Nice, would love to have a good pinball game on Switch. I had a lot of fun with Metroid prime pinball on my 3DS. Will pick this up if it reviews well. Inclusion of HD rumble is a must I think. @SteveF YOU ARE NEVER TOO OLD FOR PINBALL!!!! @LegacySmikey I usually play it on Vita when I'm offline, so I had played a fair few times before I looked at the online high scores. I couldn't believe it, they were about 100x my best score! The Pinball Arcade is a great way to experience virtual real-life tables that many folks haven't even seen, let alone play. And a couple are brand new, like Ghostbusters. Downsides are that it isn't 100% accurate. The characteristics of the "terrain" of the playfield (lamps, cutouts to expose a lower playfield or image, toys, etc) aren't modeled in and varying flipper and kickback strengths, both of which occur naturally in a real world machines. But what you get is a "perfect world" instance of a real table. Which is great for consistent scoring. Price would probably be a downside to some. 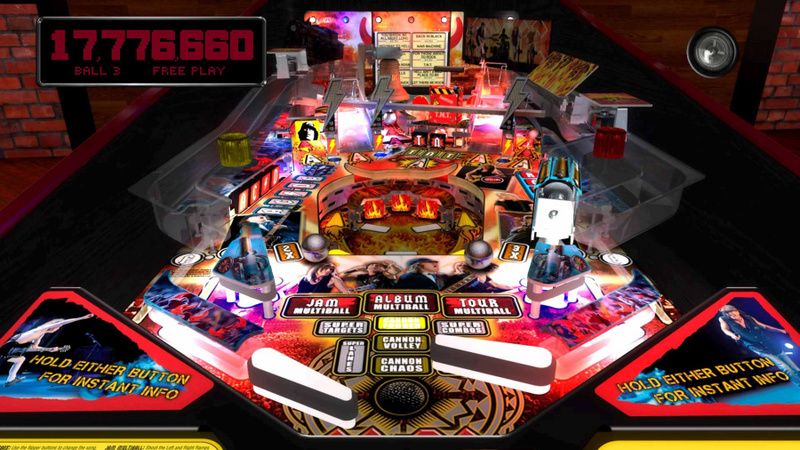 Individual tables, from other versions as an example, cost between $5 for the standard to $8 for the Pro, which has tournament rules, access to the service menu, and tips from pro pinball players. Season packs, with roughly 10 tables, usually are $30 for standard, $40 for pro (which is why I held off). And checking out the Stern's Pinball Arcade website there's a version coming for the WiiU! What?! @oji It should, it's the same studio who made the Pinball Hall of Fame Williams Collection for the Wii, which used the Wii remote and nunchuck. There's no better way to play a console pinball game, IMO. @Nincompoop Agreed. Though the new licensed tables by Stern are supposed to be the big draw for this one. @OorWullie agreed. Specially if you can play it in portrait mode undocked like Strikers. Hell yeah! I'm so down for this! I love the acdc and ghostbusters machine! I'm glad the Switch is getting the Stern Pinball Arcade, but I'm still waiting for the regular Pinball Arcade. In fact, I've been holding out buying new machines on iOS (Like World Championship Soccer, Indianapolis 500, the latest EM pack, among a few others) in hopes I can get them on Switch. Switch would be the ultimate way to play, since I would no longer need the Wii U version for TV play or the iOS version for portable play. Regardless, I might still pick up the Stern Pinball Arcade. The higher prices of the modern machines is kind of a turn off for me, but it's true that some of Stern's latest is fantastic. Might at least pick up Star Trek. @Zach That's in the regular Pinball Arcade, which strangely hasn't been announced for Switch yet. It's currently available on pretty much every other platform, however. Day 1!! Retail version looks likely!! I have it on PS4 great fun!! Looks like Zen is losing out in my money! Pinball is always great to have. I am looking forward to getting this game. Sweet! This will be a instant purchase for me. I really hope we'll see the Pinball Arcade volumes released on Switch as well. Preferable at retail as well. Could be nice, but "most realistic" pinball simulator is a catch phrase/rhetoric used by nearly all of them, so I'll believe it when I see it. Zen Pinball is quite entertaining already, and realistic enough, William's Pinball on the Wii was great as well, and even games like Metroid Prime Pinball on the DS were more than entertaining enough already. Come to think of it, even quite a few 2D games were already rather great, such as the whole 21st Century produced pinball series on the Commodore Amiga (Pinball Dreams, Pinball Fantasies, Pinball Illusions and Slam Tilt), Obsession Pinball and even the rather odd Pinball Prelude and The Ultimate Pinball Quest. I'd rather get Pinball Arcade instead. A lot of my favorite boards are the Bally ones, and a few Williams. The only Stern one I liked was Ripley's. @samuelvictor It won't really be the same, these are designed to play like a real pinball table. Zen regularly does things that can't actually work in reality, they're literally fantasy tables. Plus their physics are floaty and never feels like a real game of pinball. Hopefully this game will do a better job, like the old Pinball Hall of Fame games did, handling the physics of what a real table feels like. Very nice but also strange if this pops up before their mainline Pinball Arcade package that's into season 6 now. Far more money to be made there selling those individually or season passes. Hands down the undisputed king of pinball simulation if you're into actual real table reproduction and not some off the wall strangeness like Zen Pinball or others. Nintendo needs to release, or license for release, the Super Mario themed pinball machines. ♪Sure plays a mean pin-ball♪ Don't even remember the rest of the song. I love pinball. I'll be watching this. I love Pinball so I'll be keeping an eye out for this one's review. I was reading through that table list, was a bit impressed, even with some of the really old school tables, then I saw Ghostbusters, and that did it for me lol. Pending a good review, it'll likely be a must own for me. PS: It would be nice if I could play the pinball table with my Switch on its side for a more authentic experience. Pinballs been around for 100 years. You can never be too old for it! Also, really looking forward to this! I hope they bring out the older, not Stern-centric Pinball Arcade, too. It would be awesome to simulate pins and go over table rules in between games at my local pinball league! If the physics are as good as the Wii U version, these are must-buys for me. The flipper lag on the PS3 version was such an annoyance. I wonder what they'll price them at, though if this is coming, I wonder if they'll release Pinball Arcade proper, possibly with ALL tables or something fun for Switch players. This reminds me, wasn't Pinball Arcade supposed to come to Wii U several years ago? Now's a bit late. Too late for me at least. I assume it has been cancelled...? Oh wait, it was released, in North America only?? @Mommar Yeah I saw that they were recreations of actual tables, that's pretty cool. Hopefully the physics are spot on, should be a good time! I have now the Stern Arcade Pinball, but i dont understand why is this only a 1 player game. Thats really bad and so i send it back to amazon. IT MAKES NO FUN FOR 1 Player ! !